In 1959, Group M was established in Melbourne. This collective of photographers advocated the use of ‘straight’ or unmanipulated photography as a means of expression. In the catalogue to their inaugural exhibition they declared, ‘We are certain that the majority of people appreciate philosophical thinking and social comment expressed through photography’. 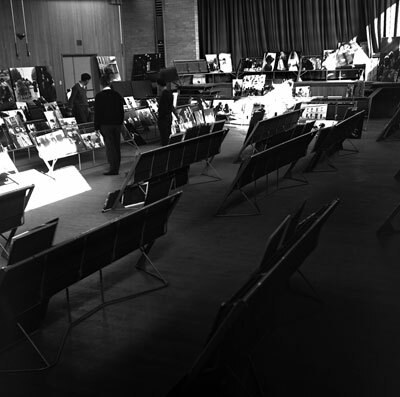 Between 1959 and 1965 Group M mounted six major exhibitions. Initially these exhibitions, all titled Photovision, were open to entries from local and international photographers. However, from 1963 entry was restricted to Australian photographers and the shows were curated thematically, with topics ranging from the Aboriginal community at Lake Tyers to contemporary women. above text from: Flashback, Australian Photography in the 1960s, NGV 2004 catalogue. Albert Brown (b.1931 - died 2017).